Pregnancy massage is massage therapy specifically tailored for the expectant mother’s needs. Your body will be properly positioned and supported during the massage, using specialized custom shaped pillows and padding. We offer both side lying and face down options that ensures comfort and safety for the mother and baby. 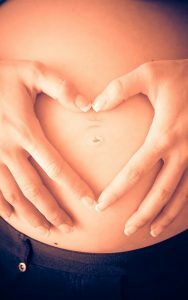 The physical and emotional discomforts of pregnancy will be put at ease through focused, detailed massage with the pressure you desire. For the Mom-to-be Jody will customize a massage that will help you improve your quality of life until the big day arrives.